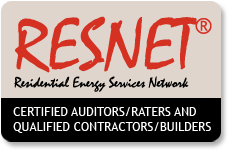 General Energy Audit A general energy audit is also known as an energy assessment, standard energy audit or detailed energy audit. It expands on the home energy survey by collecting more detailed information regarding the home’s energy usage, as well as a more thorough financial analysis of its energy costs. How much leakage is occurring from HVAC distribution ducts? How effective is the insulation inside walls and ceilings? Any?existing or potential combustion safety issues. To calculate a home’s HERS Index Score, a certified RESNET Home Energy Rater will do a home energy rating and compare the data against a 'reference home' – a design modeled home of the same size and shape as the actual home, so the HERS Index Score is always relative to the size, shape, and type of house you live in. The lower the number, the more energy efficient the home. As far as energy rating benefits go, one of the major ones is informing homeowners about the energy performance of their homes. Many homeowners are plagued by high utility bills and are unaware that in many cases the fault may lie not in over usage of electricity but performance issues with the house. An energy rating will rank a home based on its performance and assign it a HERS Index Score. The HERS Index Score functions as sort of energy efficiency version of a MPG (miles-per-gallon) sticker for houses and informs homeowners about how their homes compare to other similar ones in terms of energy usage. A lower HERS Index Score signifies a more energy efficient home. Many prospective buyers who are considering a home purchase will look primarily at prices and mortgage options when deliberating the financial cost of the home. What they don’t take into account are the energy costs. While it is natural to assume that it is the mortgage payments that constitute the main cost of homeownership, the fact is that when buying a home, the energy usage should also be factored into its cost as well. Otherwise, you aren’t getting an accurate picture of how much that home will cost to maintain and run, and whether or not you can afford it. This is another one of the major energy rating benefits. Consumers can compare homes based on their HERS Index Scores in order to make an informed decision before deciding to buy. 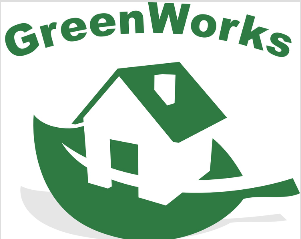 The more energy efficient a home is, the lower its HERS Index Score is. There is real proof that energy efficient homes are worth more and enjoy higher resale values than their counterparts. A study conducted by Portland, Oregon based Earth Advantage Institute, a nonprofit group, found that newly built homes that were certified as energy efficient sold on average for 8% more than non-certified homes (the study looked at homes in the six-county Portland metropolitan area). Not only that but certified existing homes sold for up to 30% more than their non-certified counterparts. In addition, another study conducted jointly by the University of North Carolina and the Institute for Market Transformation, found that on average mortgage default risks were 32% lower on homes certified as energy efficient. 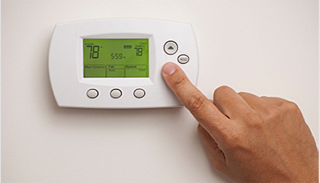 In order to be deemed energy efficient, a home must first be energy rated.